In my last post, I happily nattered on about the health merits of some of my favourite herbs. Basil was one of the lucky picks. Now that you’re well-versed in how basil can contribute to improved health status, I must share another recipe that showcases my continuing new romance with this lovely herb. And yes, it’s another smoothie. But we can’t get enough of these things, right? Baaa-zil or bay-zil – we love this herb and it loves us right back! 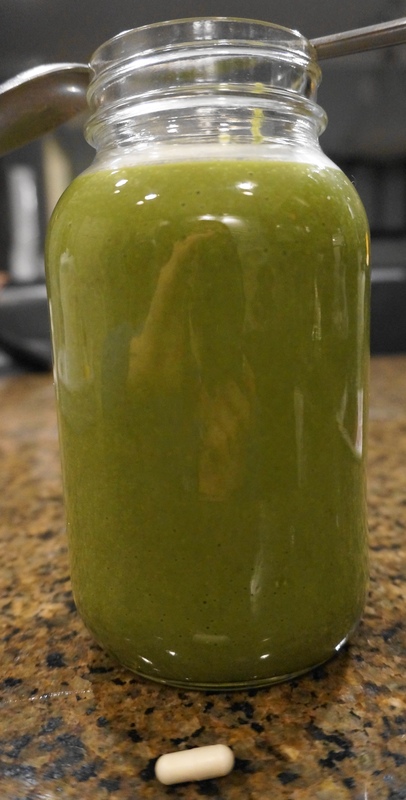 Blast away in the blender! 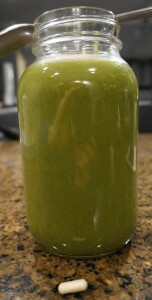 This makes quite a lot of drink, about 60 ounces in my sweet Vitamix…so, you may want to share. Or, if you’re like me, sip away at the entire container and imagine the celebration inside your body.